1 Eva Longoria | This Blog Rules | Why go elsewhere? In warm summer nights mosquitos are hated and highly annoying, especially at night when they get attracted by the lights inside and around apartments. 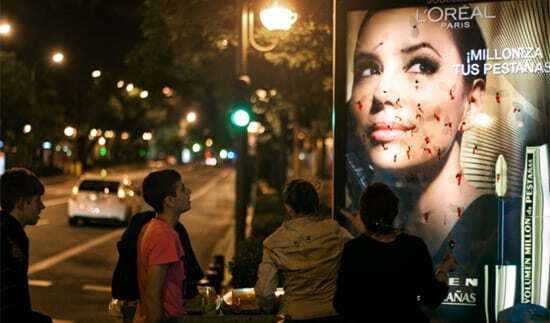 Well, that is exactly what happened on these billboards, except that these mosquitos are fake.